Round Corner and Smooth Surface, Made of Aluminum Alloy. EDC focus toys - Great for Fidget, Anxiety, ADHD, Autism, Staying Awake and other attention disorder issues, like nail biting, smoking, leg shaking, etc. 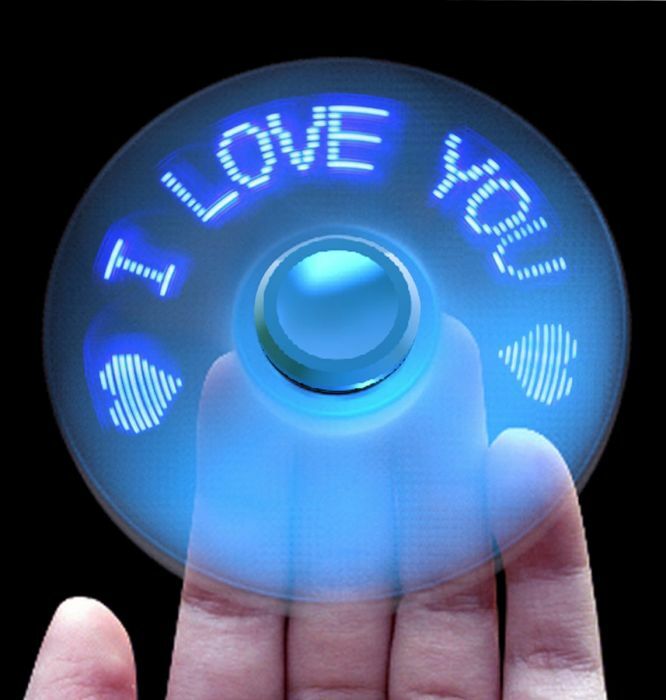 Customizable LED Fluorescence Fidget Spinner, use the attached easy opperate app to customize the content you want to display. Round Corner and Soomth Surface - Protect your fingers from scratching. A good choice for killing time, helps relieve stress.